Ishoo looks at an Issue of his book treasure. Book lovers are attracted to books like honey bees to flowers. 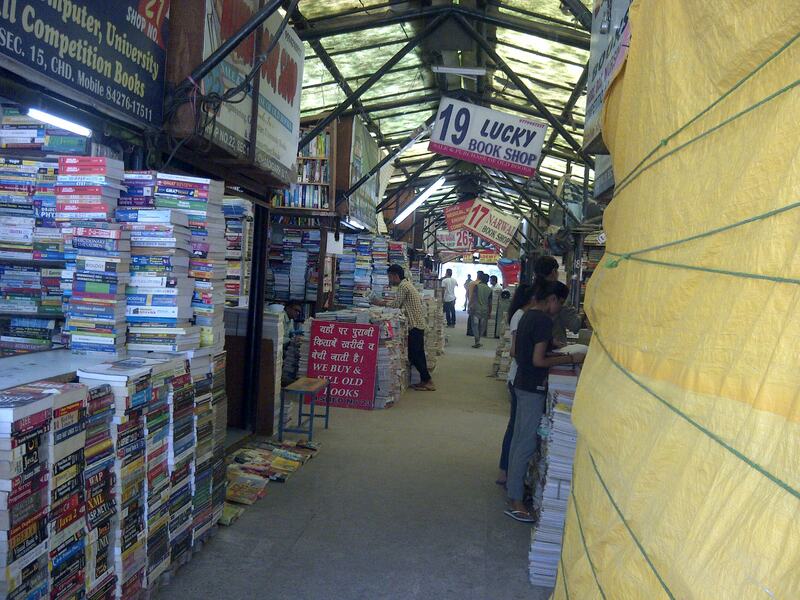 My city, Chandigarh has a unique area allocated for the resale of old books in Sector 15. Chandigarh is the first planned city after independence and designed by famous architect Le Corbusier. I remember when I was studying in the Punjab University the book sellers were located on the pavements right opposite the exit gate on the dividing road between Sector 15 and the Univ as it was called then. I spent many pleasant evenings looking for a work of fiction to read at my leisure. 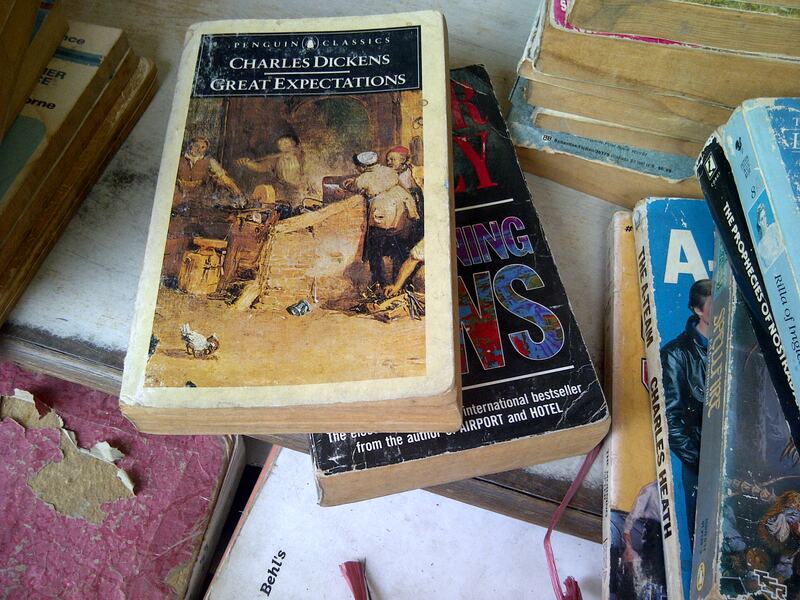 Today, alas, the works of fiction for sale are not so interesting, famous or classical. 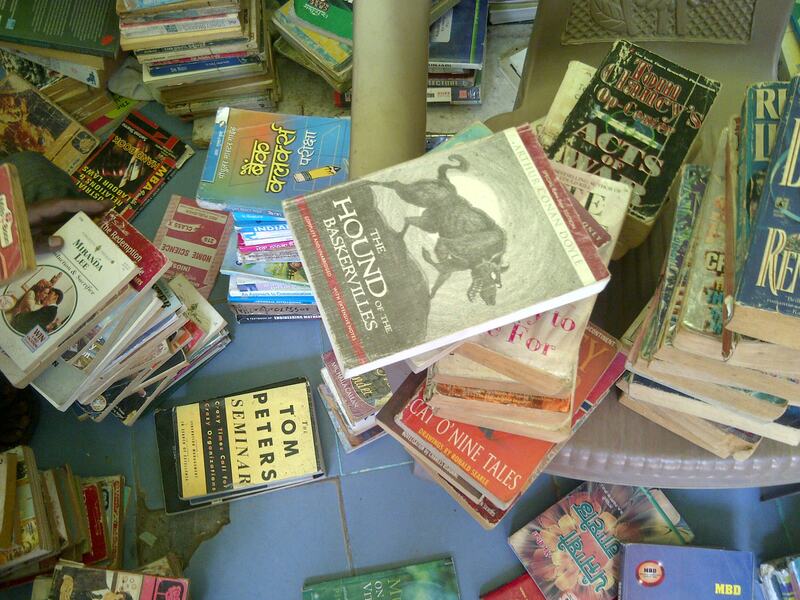 These books are merely the flotsam and jetsam of quick fiction readers. After an hours search I found two books. One was ‘The Clock Winder’ by Anne Tyler and I bought it because I loved her book The Accidental Tourist. The other I took because the cover claimed it to be a New York Times Bestseller. The name of the book is Hugger Mugger. Maybe the name intrigued me. It is written by Robert B. Parker. So this weekend it is going to be Hugger Mugger. 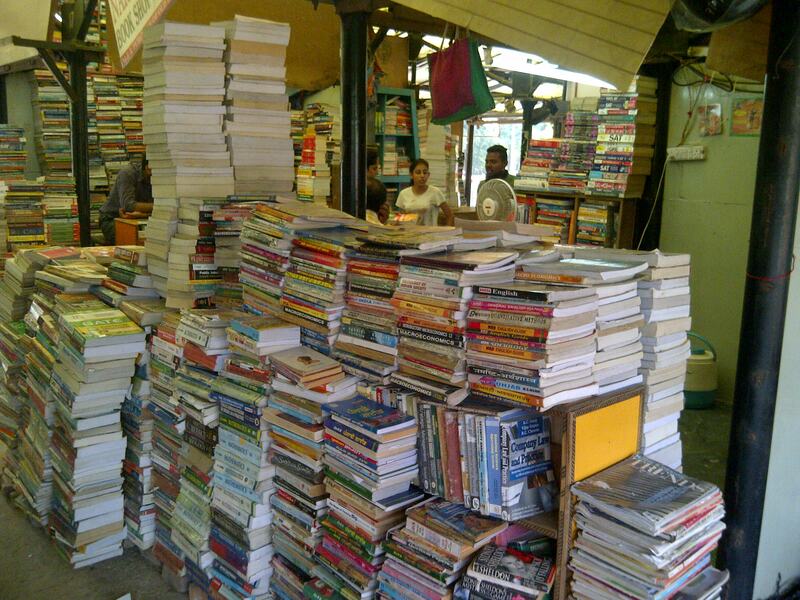 The real book buyers here are students from the University who want cheap second hand course books. They have my sympathies for books are very expensive. You can really find all course books for school, college and university. 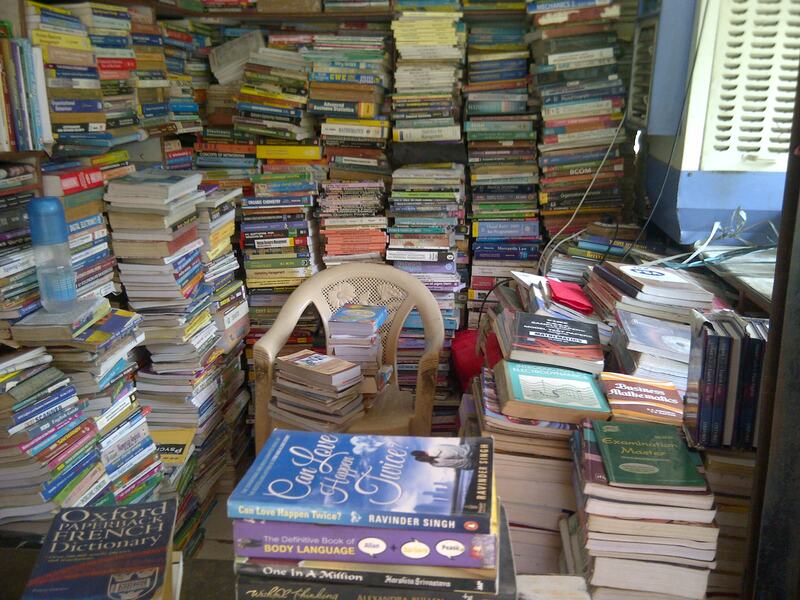 If you tell the seller he might even find a particular book from some source. 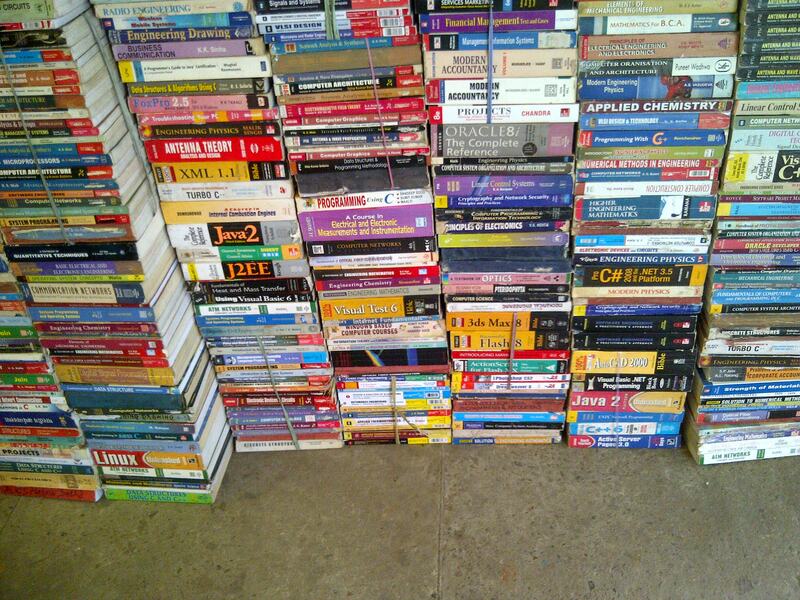 Software programming books are displayed prominently and must be much in demand. This pursuit of fiction is not for those who have the OCD of dirt-fear. I give the books a thwack and a bang and that is reasonably clean for me. The price of course is atrocious. 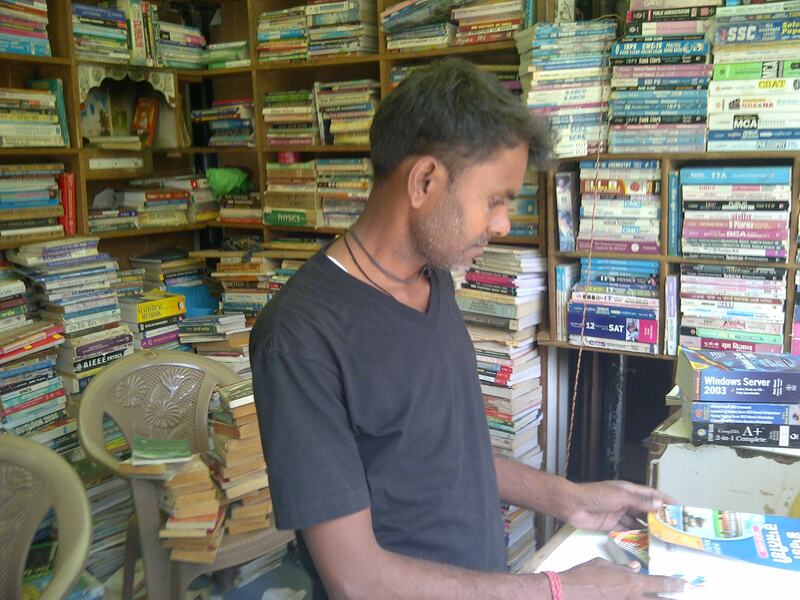 This guy Issue (rather an apt name for a book seller; maybe he spells it as Ishoo) gave me a flat rate of Rs. 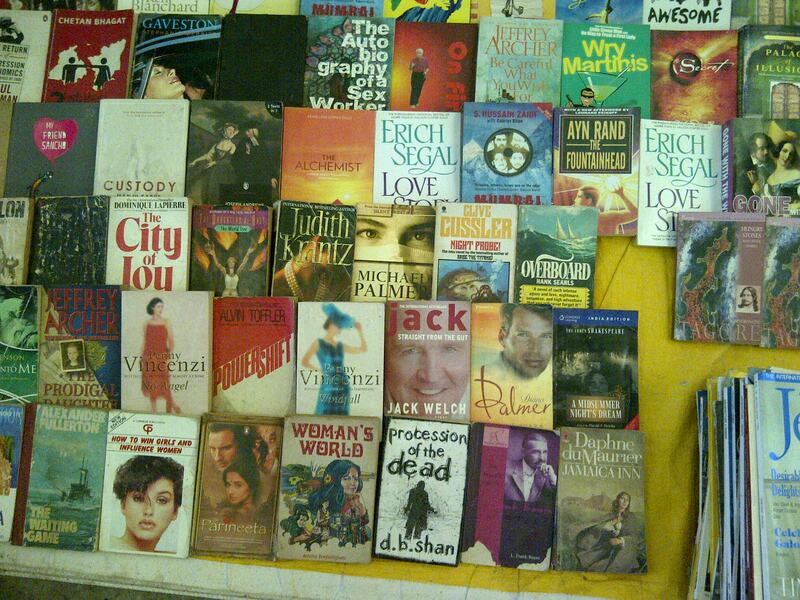 40 per book of fiction. That is two thirds of a dollar. I’ll wash my hands every time I hold the book. I asked Issue if book sales have declined because of the arrival of the World Wide Web. ‘No Way’ he said happily as if he had just killed a dragon. The Internet does not scare us. I looked doubtfully at him and then slinked away. 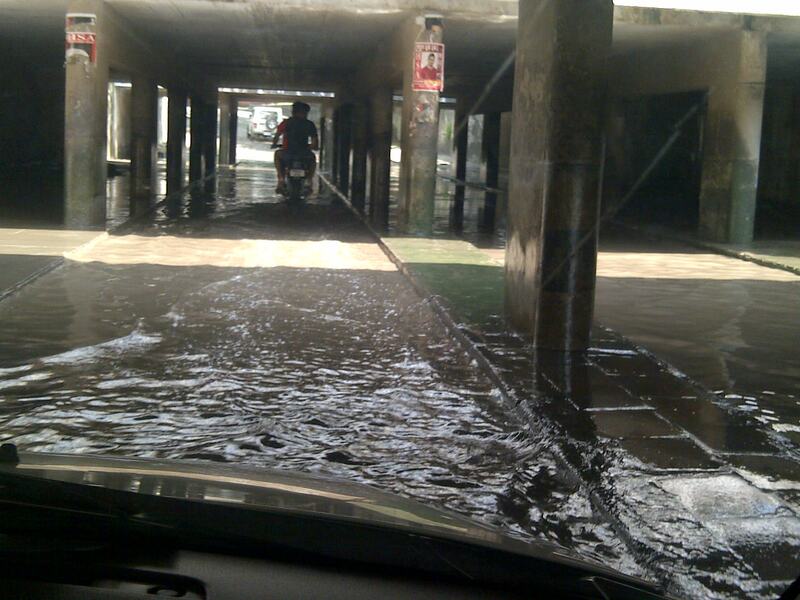 One complaint in passing from an almost founder citizen of the city- the underpass I had to take from fifteen to sector 11 is filled with rain water and I am sure in their fight against dengue the Chandigarh Administration will show some alacrity in drying this hell hole. This must be the Paradise of mosquitoes. Let’s hope some official takes notice. Don’t modern cities have informers like olden times Kings used to have? I suppose I can be considered an informer. 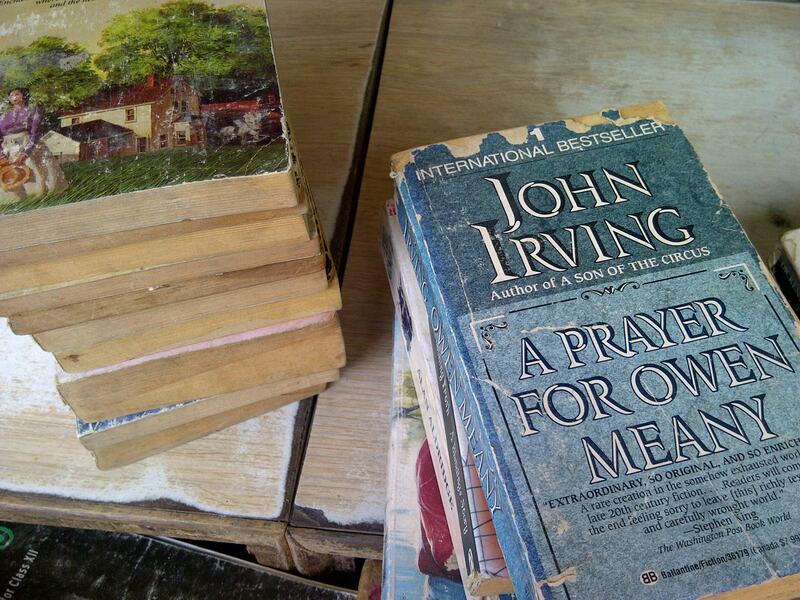 Anyway banish the negative thoughts I am happy, I am set for the weekend with two books to read.